Producing renewable energy, and becoming autonomous, is the aim of many researchers as we try to break free from the shackles of fossil fuels. The 2014 and 2015 models have now been known about for some time, and in the preceding pages you will have seen all the details. However, as happens every year, the boat builders keep a few surprises and innovations up their sleeves, and the Multihull journalists use any method (however questionable) to get their sources to talk. Here are a few bits of gossip to keep you up to speed with what's going on. We have learnt that Leopard are currently working on a new boat which should be exhibited at the Miami Boat Show. No hard information has filtered out yet (we should find out more at the fall boat shows) but it would appear that the shipyard is looking to innovate and is even looking at moving away from the current standard rules...As Leopard have recently completely overhauled its range with the 44, 48 and 58 footers, there's only the 39 to bring up to speed. Watch this space! Fountaine-Pajot have always believed in power catamarans, and its range is now complete with the Summerland 40 LC, Cumberland 47 LC and the Queensland 55. Or is it complete? Maybe not, as they are missing a smaller, entry level boat, like the Greenland and Highland in the past. The yard is rumored to be working on a motorized catamaran that will be less than 40' (more than likely 37'). We will obviously find out more at the fall shows. .
Tricat have decided to go ahead with their new 30' trimaran, and the final preparations are being done before production can start, with a first launch possibly in spring 2015. The Tricat 30 will offer two double berths and a large panoramic salon with a galley. A new catamaran will be taking to the water at the end of the year and it will be shown at the Dusseldorf Boat Show. It's the Slyder 47, which apparently has been built using a new, unique method. 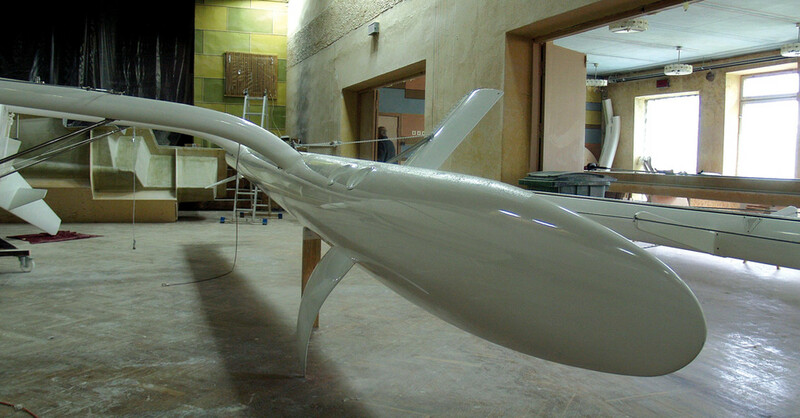 We don't know any more for the moment, apart from the fact that it's an innovative sailing boat. Sails, motors, rigging, onboard living area: over the last few years, the shipyards and the designers have been working hard in all departments to make our favorite multihulls even more comfortable, easy to use, high-performance and autonomous (whichever of these you are looking for).